One of the most-visited nations in the world, Great Britain is home to some of the world’s top sights and attractions. From iconic Big Ben to quintessentially British Buckingham Palace to the Highlands of Scotland, the UK is famous for both its history and natural beauty. British Attractions is a guide for everything that the United Kingdom has to offer! You can visit the sites of famous battles or see some of the most famous athletes in the world compete. British Attractions.co.uk is your guide to make sure you and your family are never short of things to do. From wildlife parks to historic castles, there are thousands of places that are just waiting to be discovered. 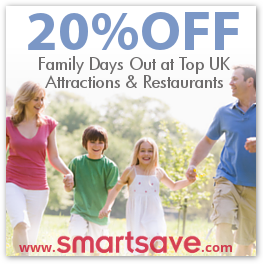 Take the kids for a day out at a theme park, or enjoy the great outdoors in the UK’s finest gardens. British Attractions will guide you through Britain’s best days out. BritishAttractions.co.uk provides a guide to the UK’s top attractions to help you create your perfect weekend trip or day out with the kids. At British Attractions you’ll find all you need to know about the best days out across in England, Wales, and Scotland. It is easy to get bogged down with all the things there are to see and do. Whether you’re looking for an authentic steam railway or a day out in Wales British Attractions has over 200 attractions to make your day out easy and hassle-free. To find an attraction, select a region or the type of attraction you would like to visit. If you already have something in mind, use the search bar to search for specific attractions or keywords.